Geoffrey Stewart is a member of the Aristotle research team and a veteran of the investment industry. Geoffrey was an analyst and Portfolio Manager with Reed, Conner & Birdwell, LLC (RCB) for eight years, with responsibility for co-managing the International strategy. (RCB combined its business with Aristotle in January 2012.) 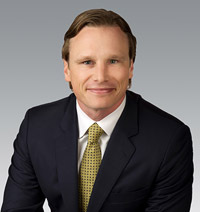 Prior to his tenure with RCB, Geoffrey served as an equity analyst at Oppenheimer & Company. Geoffrey earned his Bachelor of Arts degree in History from Duke University. He is a CFA® charterholder.